Outreach Extends to Gold Star Family. Read about our Facebook Private Messaging policy. Our outreach programs at times can appear to take a back seat to the support and information we give to those going through boot camp. While this is a part of what we do, the importance of everything that comes after boot camp can not and should not be overshadowed. We are here for a much more significant purpose. In this newsletter, meet a volunteer and a Team Marine Parents participant, read about our Facebook PM policy, and learn about the Combat Hunter course. I don't often just write from my heart on a whim, but this is one of those moments that it is necessary. In amongst all the jumble that is Facebook and supporting recruit family members, we continue to have opportunities to work on our other outreach programs. 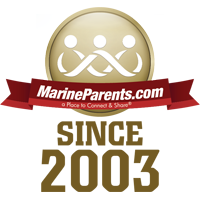 I'm so grateful for all of the outreach work we do as MarineParents.com. Mattie and David, two staff members, just returned to the office from a week-long trip to San Diego working with the volunteers in our outreach program, the Warrior Support Team. Amazing work staying in touch with wounded, ill, and injured warriors at Balboa in San Diego (we also are at Walter Reed in Bethesda). We are hoping to extend that reach and will work toward that. In the last week or so, a Marine Mom has visited our office twice. She is the mother of a Marine named Talon who was killed in the aircraft disaster in Mississippi a couple weeks ago. They live just 20 minutes or so from the office. She is seeking support, of course, and wants our assurance that his memory and his sacrifice will never be forgotten. She has asked us to make shirts for the memorial ceremony for her son, and we will do that for the 20+ family members. Another Gold Star mom, Sandy, who I have worked with since 2006, has already talked with her and is setting up a time that we can all go to lunch together, to hear about her son, to help her understand the pain will never go away. Never. We will work on having a private Luminary Lighting ceremony so she knows that the last Sunday in September will always be reserved for their family. As tragic as this is, it's moments like this that I know why we are who we are and why we do what we do. I thank God for Mattie and Marilyn holding Talon's mother's hand and showing her we are here for her. I thank God for Sandy being able to open her own wounds fresh again to reach out to another Gold Star mom who never wanted that title. God is good. He gives us opportunities that we must embrace. He reminds us why we are here. He helps me to see that our work in boot camp is just the stepping stone and that our work beyond boot camp is crucial. Forge ahead and take on the heavy lifting, because we can, and we will, and there is always a way. We, at MarineParents, do not allow the use of PM's in our Official MarineParents.com Facebook Groups due to the dangers related to OPSEC. We want our Facebook volunteers to know that this will in no way impede how we support you. However, we can not always be sure who is lurking on the other side of a social media profile. We must ensure that we are not giving information to those who could put our Marines in danger. Our featured TMP participant this week is Chris Tipper. 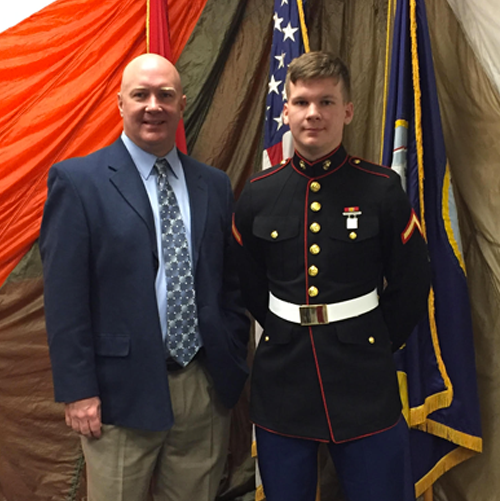 Chris is the son of a Marine Vietnam veteran, and the father of a Marine stationed at MCAS Iwakuni. This will be Chris' third time running the Marine Corps Marathon. 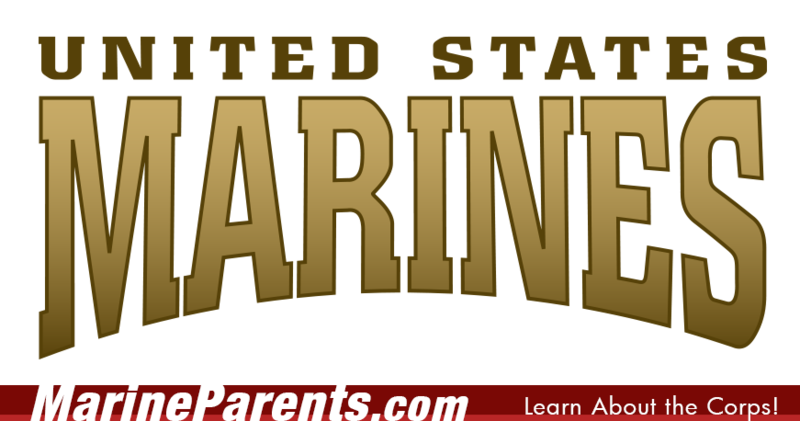 Recruit Parents Facebook Groups Volunteer, Jean Grota has been a volunteer at Marine Parents since 2016, currently serving as a Group Guide for Echo Company. 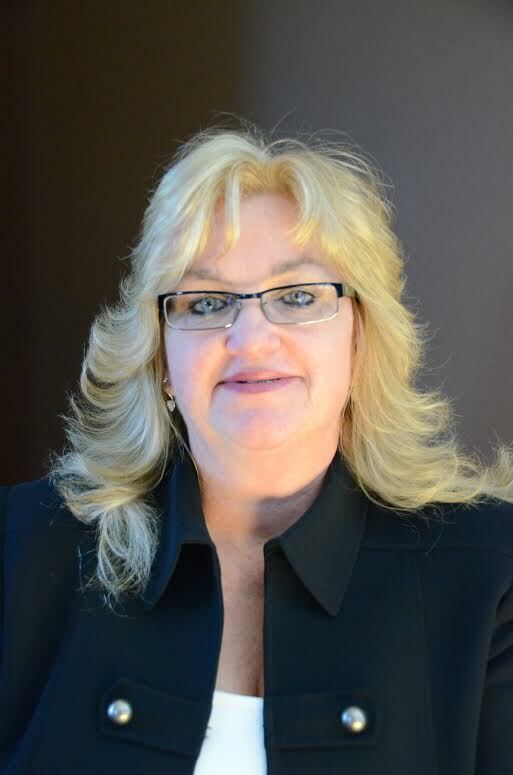 As a Group Guide, Jean offers daily guidance and encouragement to families of recruits attending Boot Camp at Parris Island through the India Company Facebook page. In the Marine Corps, "Combat Hunter" is more than just a title, it's a mindset. It's a challenge to Marines to be more intuitive and more aware of their surroundings. 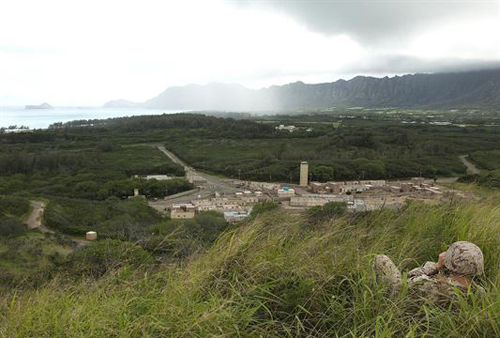 The "Combat Hunter" course is designed to teach Marines how to track targets, friendly or enemy, by noticing differences in the environment around them.